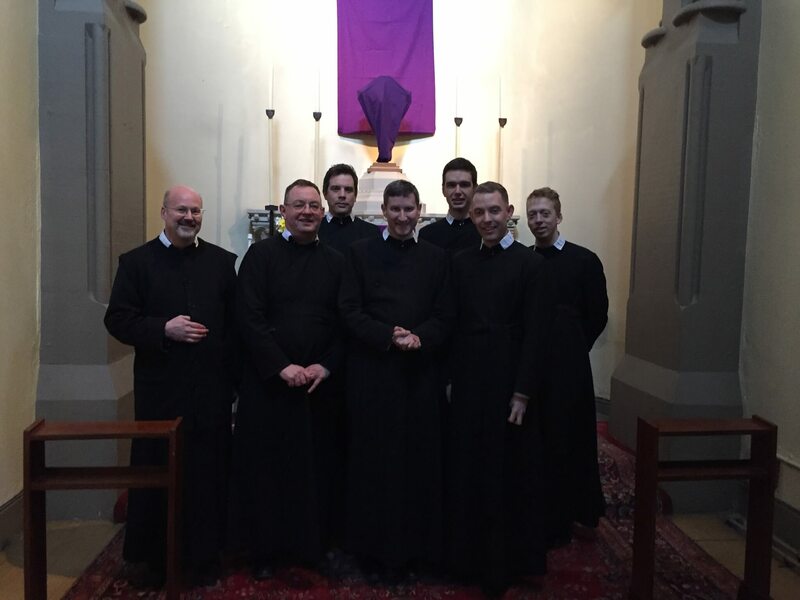 Fr Daniel and Fr Nicholas travelled up to York on Saturday for the aggregation of Br Henry O'Connell. This means that he is no longer a novice, and becomes a member of the General Congregation. It is another important step in the formation of the Oratory in York. Here are the Fathers and Brothers in St Philip's Chapel after the ceremony. Readers in Oxford will be familiar with Br Henry, since he and Br David are studying at Blackfriars and spend term time in the Oxford house.